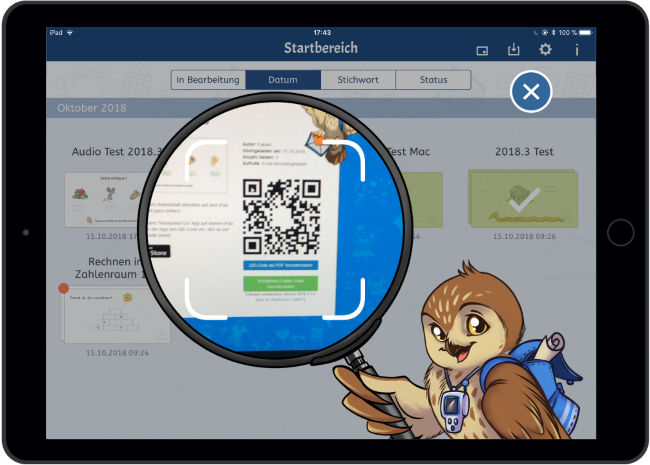 QR Code support in Worksheet Go! 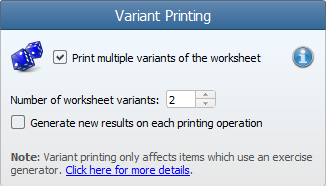 Worksheet Crafter 2018.3 requires at least Windows 7 or macOS 10.10. 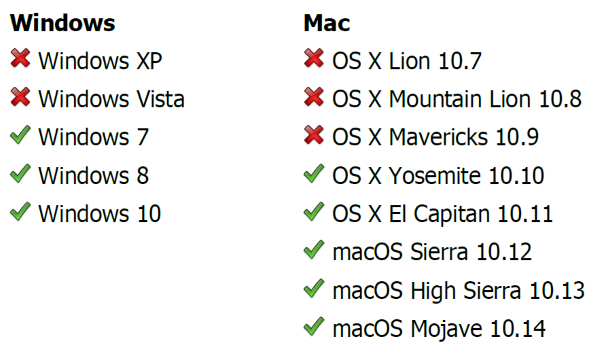 The old operating systems Windows XP, Windows Vista, macOS 10.7, macOS 10.8 and macOS 10.9 are not supported anymore. If you still use one of these older operating systems then either upgrade to a new operating system or do not install this new version of Worksheet Crafter. You can convert multiple items to a single group and then easily move this group on your worksheet. To group items simply select them, open the right-click context menu and click on the Group command. You will find the command for release the group in the same context menu. Colorizing hundred frame items in manual mode is now significantly easier than before. We added a new option to the toolbar, allowing you to configure how many points will be colorized with one click. This way you can e.g. colorize 5 points per click instead of needing to click on all points separately. When configuring a frame for text items you can now also choose a custom thickness for the frame lines. The new solution item can be used for various kinds of worksheets. Simply drag this item into the view and enter an arbitrary text. The text will then be treated as solution and will thus only be visible on the answer key. The solution can be rendered in syllable colors and surrounded with a frame. It is ideal for interactive worksheets that your students solve with Worksheet Go! 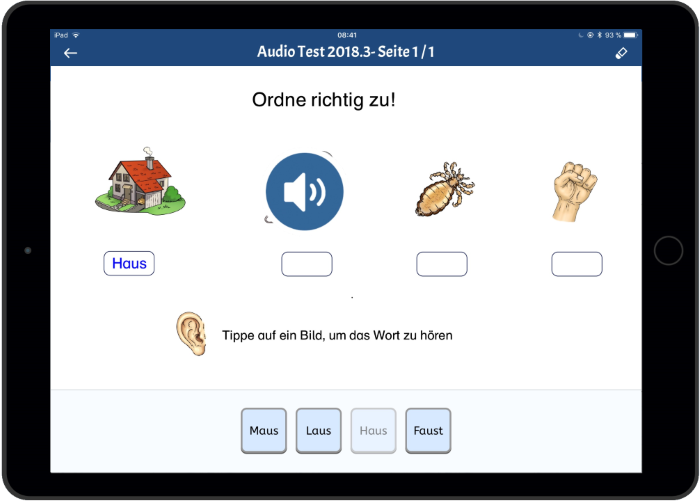 The new audio playback item allows you to place custom speech areas on your interactive worksheet. Text and language are configurable. If your students tap this area on the iPad, your custom text will be played back. This item is very useful for instructions or language exercises.